PEMBROKE PINES, Fla. - The Broward Health Department and the Florida Department of Business and Professional Regulation recently had inspectors at Havana 1957 Cuban Cuisine, in Pembroke Pines, after 11 people claimed to have gotten sick from eating at the restaurant. Havana 1957 is located in the Shops of Pembroke Gardens, just east of Interstate 75 on Pines Boulevard. Those who got sick said they dined at Havana 1957 on Nov. 12. Click here to view DOH Foodborne Illness Environmental Health Assessment Report. It was an apparent party attended by a group of nurses. According to the Department of Health's Foodborne Illness Health Assessment Report, there was bare hand contact with ready to eat food, cross contamination issues and improper cleaning and sanitizing issues found during the Nov. 20 inspection. Records show inspectors with the DBPR were also at Havana 1957. In fact, records show the DBPR has been to the restaurant six times this year. State records also show Havana 1957 Cuban Cuisine was ordered shut in January 2016, which was featured in a Local 10 News "Dirty Dining" segment. Havana 1957 was inspected by the Florida Department of Business and Professional Regulation on Nov. 20, as well. According to the report obtained by Local 10 News, 10 violations were found. Havana 1957 was not and has not been ordered shut during this investigation. Below are some of the violations right off the inspection on Nov. 20. "Bare hand contact with ready-to-eat food while the establishment is under a food borne illness investigation. Employee sprinkled parsley on rice at front counter. Employee begin using a spoon to sprinkle parsley." "Potentially hazardous (time/temperature control for safety) food cold held at greater than 41 degrees Fahrenheit. cooked beans (66°F - Cold Holding); cut tomatoes (63°F - Cold Holding); cut lettuce (66°F - Cold Holding) in reach in cooler at front counter less than 2 hours. Foods moved to walk in cooler to quick chill." "No soap provided at hand wash sink. At bar. Soap provided." "Hand wash sink not accessible for employee use due to items stored in the sink. Bottle at bar. Bottle removed. **Corrected On-Site** **Repeat Violation**." Click here to view full inspection report. 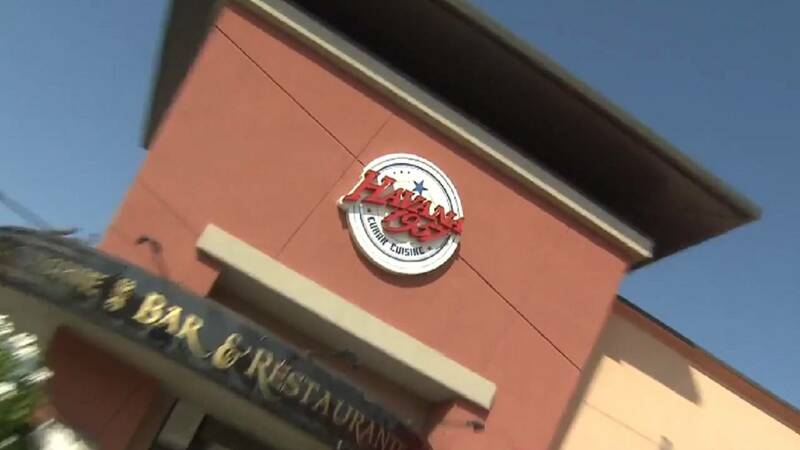 Local 10 News has reached out to the restaurant and to the Vida & Estilo Restaurant Group and is awaiting a response.